It seems that Bitcoin keeps growing strongly this July. The famous virtual currency moved from $7,900 and surpassed $8,000 after registering an important trading volume. This bull run that the market is experiencing started on July the 17th when BTC grew 15% in just a few hours. It seems that the cryptocurrency market is becoming bullish again before the decision of the U.S. Securities and Exchange Commission (SEC) on whether to approve or not the first Bitcoin ETF. The decision will be taken the second week of August and could help institutional and wealthy investors to enter the crypto world. The news correspondent, Bob Pisani, was talking yesterday on CNBC’s Fast Money about the possible approval of the Bitcoin ETF. 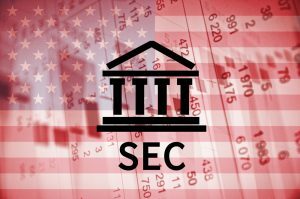 According to Mr. Pisani, the SEC will not be accepting or rejecting the latest ETF proposal, but instead, they will be extending the comment period. At the moment there are some custodian questions that need to be explained and some concerns around wallets that must be addressed. Moreover, the hedge fund manager, Brian Kelly, said that he is skeptical to see a Bitcoin ETF in 2018, but it does not mean that the Bitcoin bull run will not keep. Indeed, he thinks that ETF speculation is not going to stop anytime soon, and that institutions are starting to get serious about Bitcoin. At the moment of writing this article, Bitcoin is being traded around $8,200 and has registered a 6.75% increase in the last 24 hours. At the same time, it has a market capitalization of $140 billion dollars and its dominance in the market is now 47.4%.